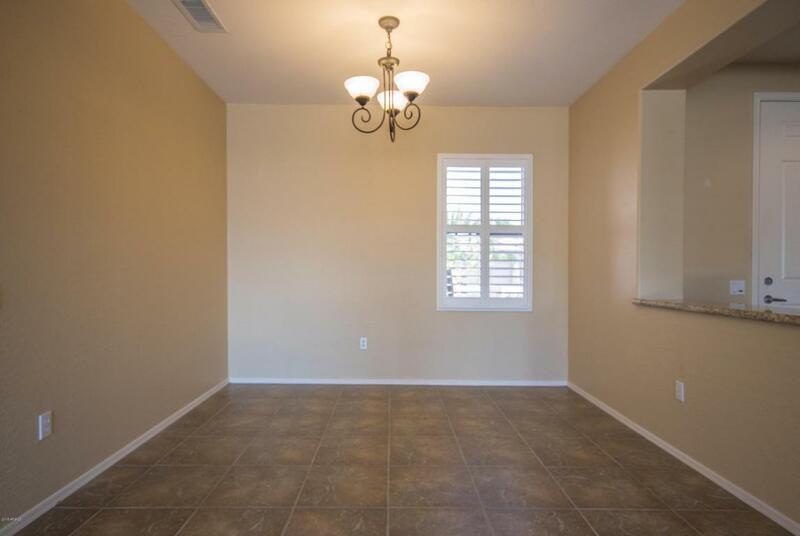 Open 2 Bedroom plus den with 2.5 Bath single story home. 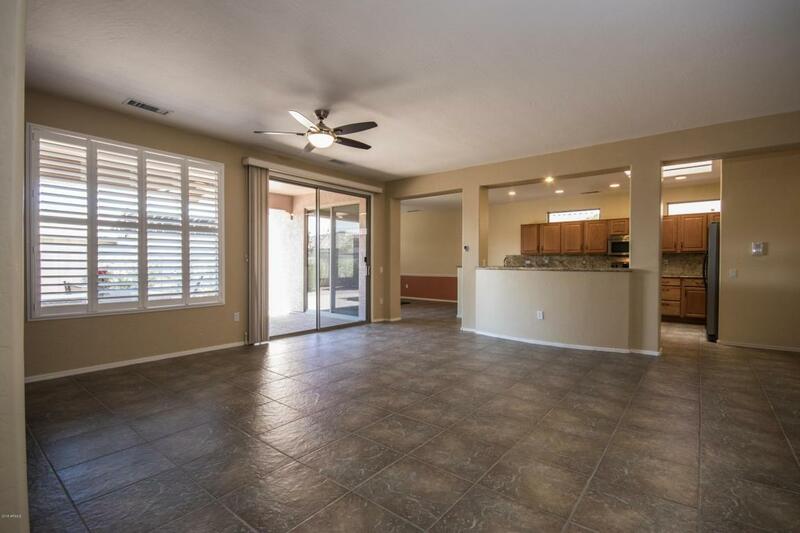 Mission floorplan that features large great room, formal dining,spacious kitchen & 3 car garage with extra storage. 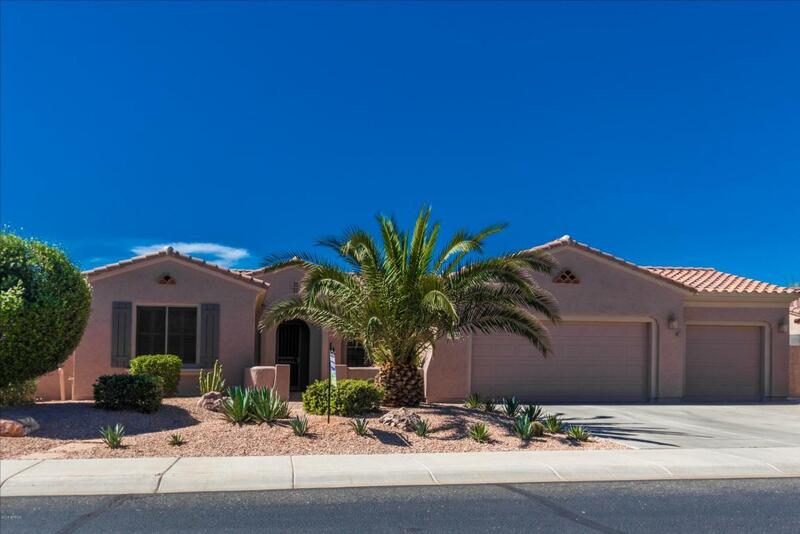 Kitchen features stainless steel appliances, upgraded raised panel cabinets & center storage kitchen island. Raised breakfast bar, skylight and R/O system, pantry. 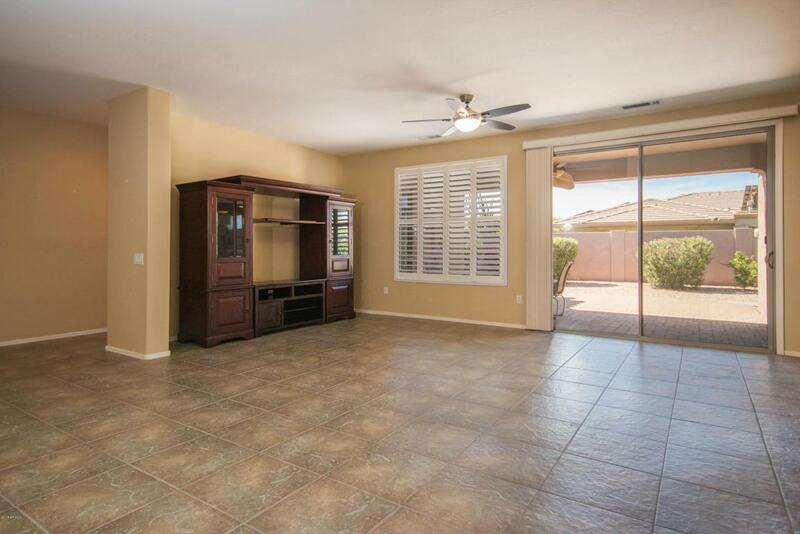 Master features bay window, sep exit, 9 ft ceilings, walk in closet & remodeled bathroom. Private second bedroom features en suite bath & double closets. Custom wood shutters throughout with custom paver courtyard and entry & extended custom paver patio in back. Solar hot water system & newer HVAC system & water softner. Solar lease grandfathered with APS and locked in with lower utility bill averaging $15 to $30 a month. Handles for disabled access.House has new paint (Feb 2017), preventive roof repairs have been done, replaced both HVAC units in 2016 with 16 SEER high efficiency units, added new 16" tile throughout house minus bedrooms, re-designed master bathroom with glass block shower enclosure, updated sprinkler system installed in 2012, solar hot water system added in 2012, water conditioner added in 2015, new microwave added in 2016, front paver sidewalk & fence from house to driveway, expanded front and rear patios with pavers & concrete sidewalk connecting front & rear patio. Cross Street Mountain View & Sequoia Creek Dr.